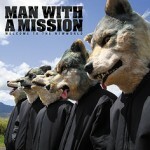 Rock band Man With A Mission (MWAM) is a very unique band with a mysterious past. The faces of the band are of wolves instead of humans for example. And in the tradition of bands like Gorillaz, they perform in those personas. 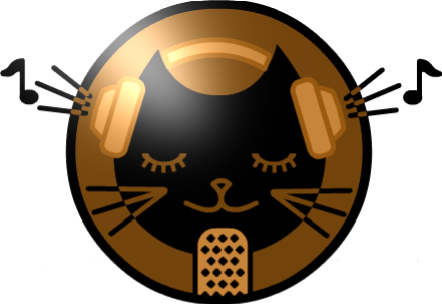 However one thing is certain, they have an amazing sound and lyrics (Japanese and English) with a message. They are currently performing around Japan and in the Tokyo areas. Their new mini album “Welcome To The New World” is on sale now via iTunes, amazon and more! Age 19XX, the darkest era of all. The universe was in the middle of the worldwide warfare. All living beings on earth was losing their faith,losing their future just for an egoistic game of which the rulers kept on playing with no end. At the edge of the world, the genius of all time Professor J,Pendrix(which was pretty good in playing the guitar) was about to complete his masterpiece which he has been working for his life. Is it a wolf?Is it a man? With all the intelligence and super-powers,they were used to accomplish the impossible,and nothing could ever stop them. Unfortunately, they were born in the wrong era. The rulers of the world used them to handle the secret maneuvers,asassination, every dark deeds that they could think of. Professor J, finally notices what he had made, the sin that he commited to this world. As a penance to the world, he finally decided to ice them in the Antarctic as they could never awake again. And he also burned that guitar he used so long. Years passed, and today the world is still not an easy place to be. Global warming,Echonomic crises,Conflicts all over the world, the world was once again facing a crisis. But who could have imagined? The global warming melted the ice of the Antarctic of which the MAN WITH A MISSION was trapped in. After their long hybernation, they once again returned to the world. Are they the good to the world today? Or are they bad news to us again. We shall know as they have already started their new mission,which nobody could clarify. MAN WITH A MISSION once again strikes the world.